With lyricism and unswerving candor, "The Long Goodbye" conveys the fleeting moments of joy that make up a life, and the way memory can lead us out of the jagged darkness of loss. Effortlessly blending research and reflection, the personal and the universal, it is not only an exceptional memoir, but a necessary one. 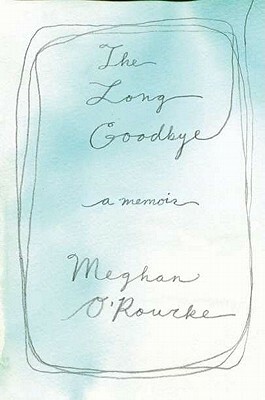 Meghan O Rourke is the author of the poetry collections "Once" and "Halflife." She is a cultural critic for "Slate," and her essays and poems have appeared in "The New Yorker, The Nation, "and other publications. She lives in Brooklyn, New York."